Chicago Coalition for the Homeless estimates as many as 3,000 unaccompanied youth are homeless each night in Chicago. Here’s how we’re working to bring that number to 0. Since opening our doors in February 2017, Covenant House Illinois has had over 14,500 visits by nearly 500 young people, averaging 20–25 visits each day. We welcome youth into a safe, caring environment where they receive respect and love from a team of trained advisors. Visitors to our Youth Development Center have immediate access to basic necessities, such as food, showers, laundry, space to rest, and storage lockers. Our doors are open to all youth regardless of race, religion, sexual orientation, gender identity or expression. Through collaborative agreements with leading agencies, our youth are able to access a spectrum of services to help them overcome the many barriers to achieving independence. Partnerships with Heartland Alliance and Thresholds allow us to offer medical and mental health services on-site. Youth visiting our Youth Development Center can access legal aid and workforce training through our community partnerships with Chicago Coalition for the Homeless, Cabrini Green Legal Aid, and The Cara Program. 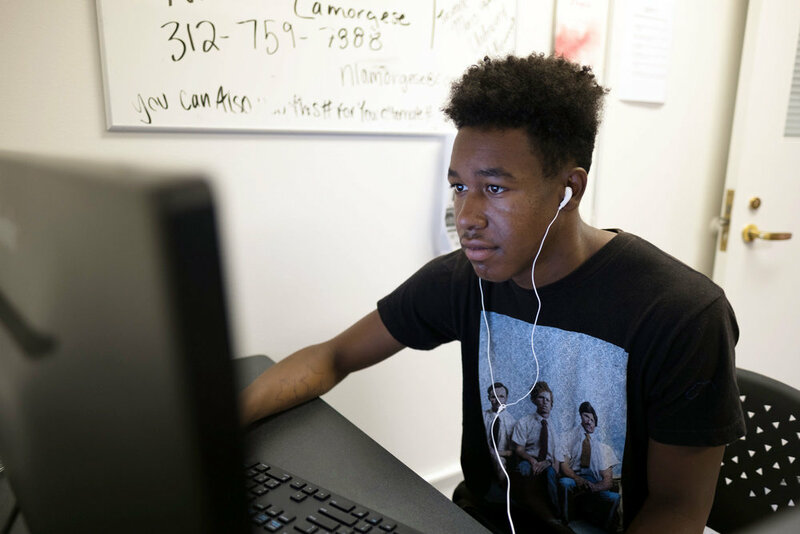 Additionally, Covenant House Illinois has an on-site computer lab so that youth may access the internet, research job opportunities, create resumes, and enroll in health insurance.